A single room heat recovery unit that provides low level continuous ventilation to control condensation. The unit is suitable for use in any domestic room and can fitted entirely from the inside making it ideal for use in high rise buildings. 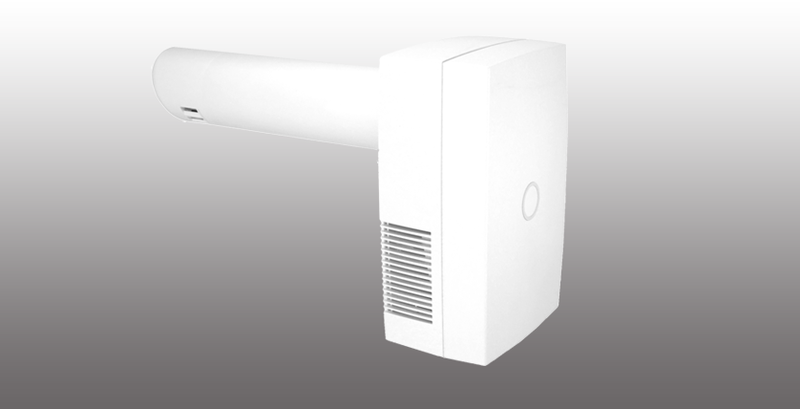 It runs continuously at a choice of two speeds pre-set at installation and exhausts directly to the outside through a wall. Very low noise levels and running costs.